To balance your PH, the remedy is simple and logical; eat more alkaline causing foods. To name but a few of these foods, there is; watermelon, lime, mango, most vegetables, vegetable juices, almonds, sprouts, avocados and green tea. 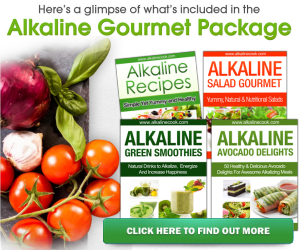 When youre body becomes more alkaline, the changes that will take place are truly amazing! It will seem magical, but its all perfectly normal. You will feel how we all have the right to feel, we just dont know it. Are these benefits worth pursuing? I think so, and you are crazy if you dont agree with me! Fortunately, it is not hard to slowly alkalise your body. Take it one day at a time, add more and more green food to your diet, reduce the number of cups of coffee you have every day and youll soon reap the benefits.